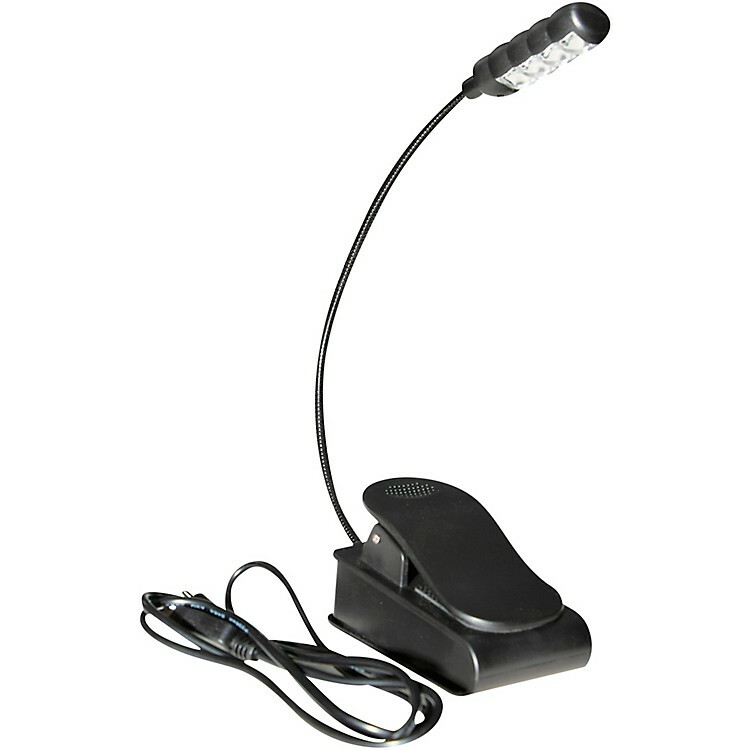 The On-Stage LED2214 Single Head USB Rechargeable Clip-on Sheet Music Light provides 25 full hours of high-intensity LED illumination, charges in under six hours and clips securely to almost any surface imaginable. Lithium-ion battery-powered, the LED2214 deploys 4 high-intensity LEDs, changeable from white to red, in a single lamp head attached to a sleek, strong, flexible gooseneck for easy positioning at any angle. And with an innovative, highly adaptive clip that attaches to music stands, desktops, tables and more, the LED2214 performs brilliantly in any environment.